These banners are just like outdoor pole banners except they are made of a lighter vinyl, which has a nicer appearance. 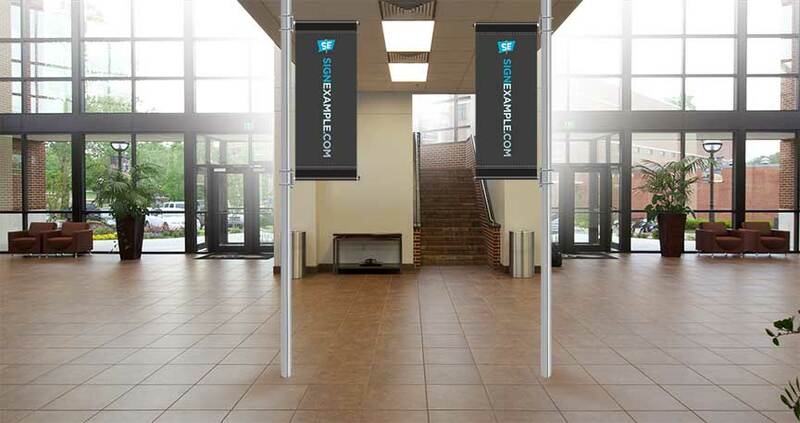 Indoor Pole Banners display graphics on both sides, using the same or different graphics on each side. Does your logo or message have any special colors that need to be matched? What is the diameter of the pole being used? What is the height and width of the banners ready to install on your poles? Your art needs to be designed so that the text, graphic and logo are not in the pocket. Do you need bracket kits?